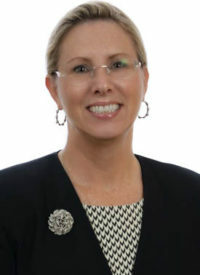 Carol O. Egan, CPA, PSA, CGMA, is a Director with Cowan, Gunteski & Co. As a specialist in working with businesses in the manufacturing and distribution industries, Ms. Egan assists clients in the area of accounting and process improvement systems to favorably affect profitability. She has been instrumental in the design and implementation of automated financial reporting practices for manufacturers and distributors and is a recognized expert in this area. Ms. Egan works with clients in the valuation of their organizations and assists them in the transfer of management from one generation to the next. In addition, Ms. Egan is the Director-In-Charge of our Benefit Plan Services Group. She is considered one of the leading authorities on benefit plan reviewing standards, tax filing requirements and ERISA requirements.